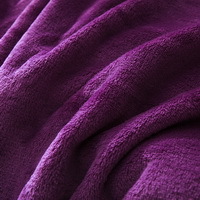 Purple Velvet Flannel Duvet Cover Set for Winter. Use It as Blanket or Throw in Spring and Autumn, as Quilt in Summer. - $99.99 : Colorful Mart, All for Colorful Life! 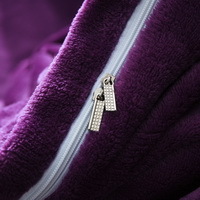 Home » Duvet Covers » Purple Velvet Flannel Duvet Cover Set for Winter. Use It as Blanket or Throw in Spring and Autumn, as Quilt in Summer. 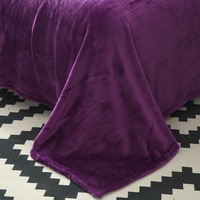 Purple Velvet Flannel Duvet Cover Set for Winter. Use It as Blanket or Throw in Spring and Autumn, as Quilt in Summer.